Our Instructional Technology Strategy was devised for 2014-2016. We will have to assess its implementation soon. 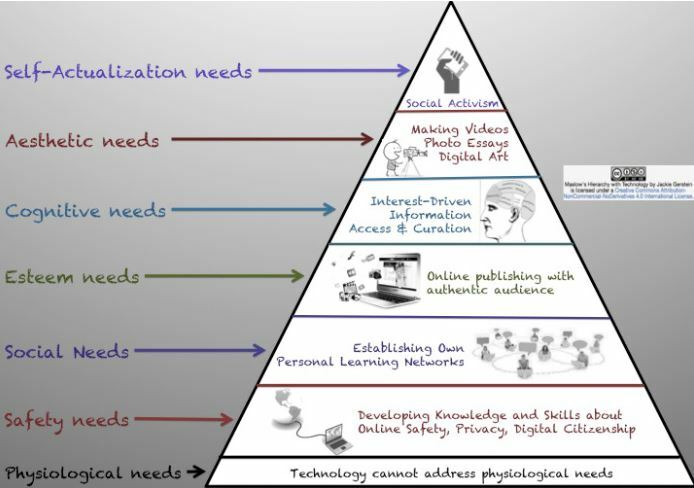 This is something what’s currently happening with the US National Ed tech Plan. This is the methodology we might want to consider. See more. The original post appeared here, but this publication has an abbreviated version of it. 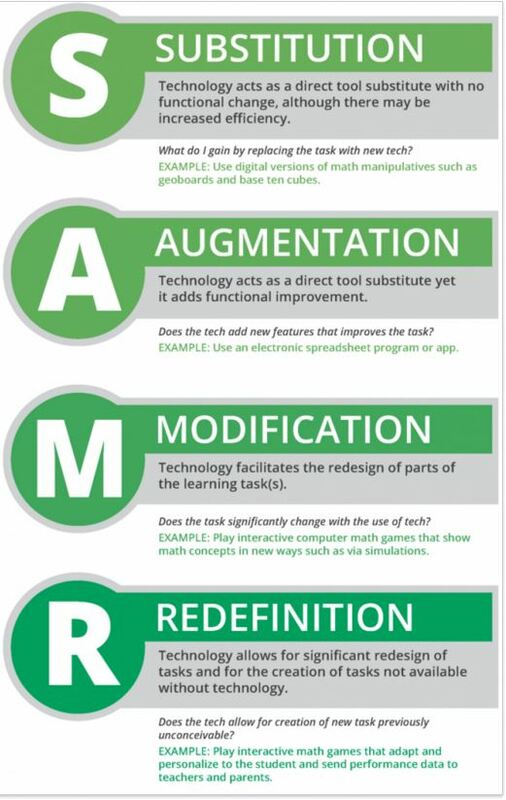 So, where are you in the SAMR spectrum? Cannot say it any better! A very good article! What if we use this motto for our 2016 Instructional Technology Showcase? These books are possibly better suited for K-12, but they deal with learning and teaching enhanced with technology. So, read away! Apple Distinguished Educator and Google Certified Teacher Mark Hammons talks about the many ways that technology can helps students reveal how they arrived at a given answer. More. 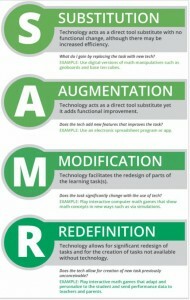 “SAMR” stands for Substitution, Augmentation, Modification, and Redefinition. 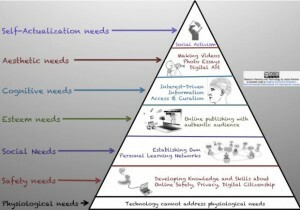 It is a “technique for moving through degrees of technology adoption to find more meaningful uses of technology in teaching and move away from simply using “tech for tech’s sake” . More here. And if you have only 2 minutes, watch this video.